By the summer of 2014, Hannibal had just concluded its second season with an explosive finale that left viewers shocked. The series was renewed for a third season, praise for the series was unprecedented, and fans were ravenous for more content and some answers for what they just saw. I don't want to overstate how much of a success Hannibal was, because it was never one of those shows that got millions upon millions of fans. It's no Walking Dead, Game of Thrones, or Westworld. Hannibal was a smaller show, more of a cult hit in the same vein as Firefly. The fans that it had were, and still are, passionate about the show and call it an underrated gem. If there's one thing I want you to take away from this little retrospective, it's that this is a show that you should check out. You can buy all of the seasons on Amazon, in either single-season editions or in a stylish series box set. Reruns aren't a thing, but I implore you that even if you're the tiniest bit interested in a weird, beautiful, and artistic risk by Bryan Fuller, give it a shot. And if buying a new show outright isn't your thing, as of publication the streaming rights still lie with Amazon Prime, so go there! But now we've reached the climax. Hannibal was cancelled during the summer of 2015, halfway through its third season. Fans were outraged and disappointed, trying to find some way to save the show. It wouldn't be saved, and now we're in a Hannibal-less world. So it begs the question; what happened? So we have a couple of facts that we need to break down in order to find out why Hannibal was cancelled. According to NBC, the station that broadcast the series as it aired, it was cancelled due to low viewership, which is usually a blanket reason for why a show is cancelled. Low viewership equals wasting money on a show that isn't getting the viewers it needs, and without syndication, there's little chance that NBC could bring those numbers up. But there are a few kinks that are thrown into the situation that make Hannibal's cancellation more... iffy. As I said before, Hannibal was not a ratings darling. It got in respectable numbers, with season 1 averaging around 2.9 million viewers and season 2 averaging 2.5 million viewers. Nothing spectacular, but compare it to a show like Bates Motel, which also dealt with a famous movie villain's origin for TV. Bates Motel lasted for five seasons with the first season averaging 2.7 million viewers and the second season averaging 2.3 million viewers. Bates Motel was less of a ratings hit, but it survived longer. This also has to do with the fact that horror is a hard hit to have on television. Dramas and comedies are easy to make into long-lasting franchises. There could be a bit of action, but the action is the main focus, not the horror. While in theory, The Walking Dead is a post-apocalyptic zombie adventure, in practice it's more of an action series with characters fighting Walkers and trying to survive in a world where humans can be just as bad as the monsters. Hannibal was a visceral show. It had gore, blood, decapitations, and imagery that would never last on a primetime network. The fact that NBC picked up Hannibal in the first place is shocking. 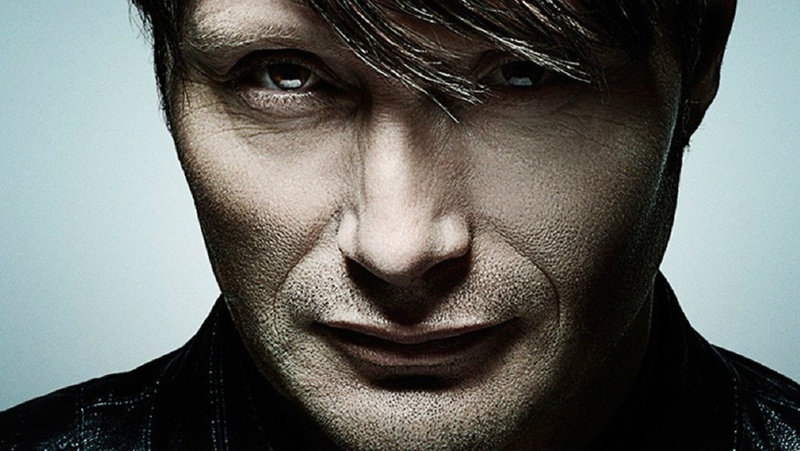 They thought they would have a hit with Hannibal, but horror TV shows are an anomaly. Just look at the recent cancellation of Ash vs. Evil Dead. The reason for its cancellation? Low viewership. But that's not the full story. So NBC cancelled the series due to low viewership. Big whoop, so what? Well, NBC did two things that really sunk any chances of the show being a success in its third season, pretty much making Hannibal's cancellation a self-fulfilling prophecy. First off, we need to look at when Hannibal aired. Air times are important when determining a show's success. If you have a hot TV series that has millions of fans, you want to give it a timeslot where the most people will watch it. Keep in mind, this was really before streaming became a big hit, so if you didn't see it on TV, you would have to wait a bit until it either aired again or it popped up online, and in the case of Hannibal, it was streamed exclusively by Amazon, so you either needed to pay for each individual episode or buy into Amazon Prime, which was $100 a year at that point. So that's a massive hurdle if you miss an episode. For Season 1, the series aired on Thursday nights at 10. A little late, but that was perfectly fine since airing that late allowed it to get away with the more morose imagery. But then for Season 2, Hannibal was moved to Friday nights at 10. Without even thinking about why that's a big idea, ask yourself what you normally do on a Friday night? Go out with friends, see a movie, play a game? TV shows don't typically air new episodes on a Friday night because who the hell is going to watch a show as it aired when you could be doing so many other things? I don't want to speculate why it was moved, and I don't want it to seem that NBC wanted the show to die, but it didn't do Hannibal any favors by moving it to a Friday night. But it still held on with several million viewers, so the fans were still fighting for it. When Season 3 aired, Hannibal went back to having a Thursday night slot, but that didn't give NBC the numbers they wanted, so after three episodes, the series was cancelled due to low viewership. NBC didn't give it more than three episodes before deciding that the fans weren't watching, so it had to go. And yes, while the numbers for Season 3's second and third episodes were the lowest at that point, totalling around 1.69 million viewers each episode, the Season 3 premiere actually outperformed most of Season 1 and 2 for views. But apparently those three episodes needed to be bigger hits, so it was cancelled. Oh, and after it was cancelled it was moved to Saturday nights at 10, where it never got the same numbers and often hovered around less than a million viewers per episode. That's just kicking a man while he's down if I've ever seen it. But why were the views so low for the third season? Well first of all, when you change your time slots from Thursday to Friday then back to Thursday again, it can make just a little bit of confusion for your viewers. The shift to Saturday nights after the cancellation didn't help either. But really, you just need to watch season 3 to understand why viewership dropped in those first two episodes. You might think that I was trying to dance around actually talking about Season 3 because it was secretly crap or something, but that's further from the truth. Season 3 is still a great time, but definitely a lot more cerebral and artistic than before. And that's saying a lot given Hannibal's pedigree. 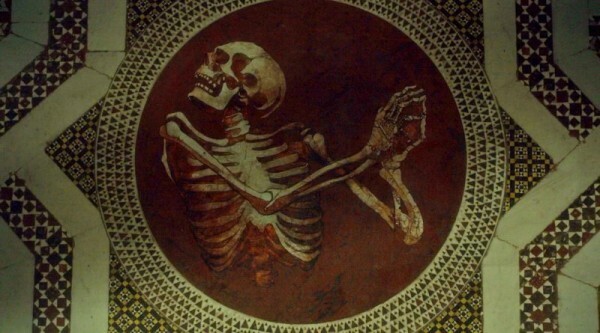 The series moved to Italy for the first half of the season and we were treated to a lot of Italian paintings, cuisine, dark and decrepit manors, and a looooooooot of symbolism and meaning. If you thought that dialogue was dense before, you haven't seen "The Hunt for Hannibal", which is what the first half of the season is referred to as by fans. Yes, I said the first half of the season, because Season 3 takes a split season approach. The first half deals with the fallout of the Season 2 finale while the second half is an adaptation of Red Dragon, which you may remember had a film version done in 2003. With a split focus, it seemed like a lot of plot info was crammed into the first half of the season with only 4 episodes actually dedicated to the hunt for Hannibal. The first two episodes of the season looked at how the characters were managing after the season finale with the first episode from Hannibal's perspective while the second one from the other character's point of view. The hunt didn't actually begin until the third episode, so whatever interest people may have had for the hunt quickly dissipated by that point. After episode 7, which was one of the best episodes in the series personally that ended to hunt, we got a six-episode adaptation of Red Dragon that was good, but not without its flaws. Francis Dolarhyde/The Tooth Fairy/The Great Red Dragon was played by Richard Armitage, who did a fantastic job in the role, but it seemed like Red Dragon was just smashed into the Hannibal universe without much consideration. Yes, you still had the fantastic dynamic between Will and Hannibal, but then you had all of the characters and their previous baggage that wasn't in the original movie. It's still fine, but again, it feels like a storyline was crammed into six episodes when it should have had more room to breathe. I can't tell if this was an intentional decision by Bryan Fuller to compress two storylines into one season because he knew the show probably wouldn't be renewed for a fourth season, but that's honestly just speculation. Maybe that was his perfect vision, since trying to stretch out both storylines into a full season may have presented problems in the long run. But the finale for Season 3 was the lowest out of all of the shows, Hannibal moved to Saturday nights, and it ended on a whimper of a broadcast even though the series finale was exceptional from head to toe. But that wouldn't be the end for the murder husbands. Far from it actually, because now the story can get interesting. A revival has been floating around ever since the series was cancelled and fans hoped that another network would pick up the show and keep it going for a few more seasons. The problem with having another network immediately pick up the series after it was cancelled unfortunately lies with Amazon. Remember, Amazon was the exclusive streamer of Hannibal via Prime Membership. Amazon had those exclusive rights to the series for two years after the finale aired. So when Hannibal was cancelled, if it was going to be picked up anywhere, it would be through Amazon. Amazon said no, so the series couldn't be picked up by any other distributor. During that time though, the cast and crew all voiced their desire to return to the series. Hugh Dancy, Mads Mikkelsen, and Laurence Fishburne all expressed a desire to come back, but their schedules would all have to line up for it to work. If everything did line up though, they would be in without a doubt. Bryan Fuller also was involved in several different series after Hannibal ended, specifically American Gods and Star Trek: Discovery. He has since left both shows. But then in August of last year, all Fannibals rejoiced as he officially announced that he was now in talks to find a network to fund and create Season 4 of the show! Fuller made it clear that he was in the early stages of creating a fourth season and that he needed to talk to the executive producer, Martha De Laurentiis, about where to go and what should happen. Since August, no news has come out about the fourth season, for obvious reasons, but I'm living in the fantasy world that one day, maybe this year, we'll get an announcement saying that production will officially start on Season 4 and we can finally get our adaptation of Silence of the Lambs in the Hannibal universe. What started out as an above average crime procedural show turned into something truly amazing over the span of 39 episodes. Beauty and horror were shown on TV like never before and the fans loved it. Fannibals still exist for a reason, and we're a crafty bunch. Hell, I'm sure that if you look at the comments on this post and my last post you can find people that will trip head over heels to declare themselves a Fannibal. The series is that good and inspires loyalty like I've never seen before. It's a shame that the series never got the love it deserved, but whether or not it gets a fourth season doesn't really matter to me. Sure, I would love more Hannibal, who wouldn't, but at least the first three seasons still exist and are still fantastic. Just because the series was cancelled doesn't mean that we can't enjoy what came before it. Sure, the series ended on a literal cliffhanger, but I don't feel like I need to know what happens afterwards. It's the perfect ending for a weird, crazy little show. If you're even slightly interested in watching Hannibal after my several thousand words explaining why it's fantastic, go and watch it. Give it a chance and try something new, or in this case, a real hidden gem. The links to officially grabbing a copy are available above, so have at it. But most importantly, have fun while you watch it. It's not every day you get a show as unique as Hannibal. "I will let you know me... see me. I gave you a rare gift, but you didn't want it... You would deny me my life?... My freedom then. You would take that from me? Confine me to a prison cell. Do you believe you could change me the way that I changed you?... Fate and circumstance have returned us back to this moment, when the teacup shatters. I forgive you. Do you forgive me?" - Hannibal Lecter, Mizumono, S2 EP 13.